By the time a requisition for contract labor is finally approved, the success of a tech project often depends on finding qualified contactors who can start right away. When time matters, putting a little extra effort into finding a tech pro with the right skills and expertise is a great way for technical staffing firms to ease client concerns and maintain long-standing relationships. After all, there’s no substitute for providing high-quality technical talent, quickly and efficiently. Especially when experts pin much of the blame for project failure on a lack of resources and shortage of qualified developers. In fact, when asked what their staffing service providers could do to better meet their needs in a recent survey, staffing clients overwhelmingly said firms could increase the quantity and quality of recruited candidates by anticipating their talent needs. What’s clear is that given the current talent shortage, buyers and staffing suppliers must pull together to meet and even exceed hiring manager expectations. Let’s look at how these two partners can work together. In order to source elite tech talent in a competitive market, line managers need to focus on the things they need most instead of trying to match a lengthy and unrealistic wish-list of technical skills, experience and traits. Recruiters also need a firm start date and market-based bill rates to entice and engage top contractors who have their choice of assignments.What’s clear is that given the current talent shortage, buyers and staffing suppliers must pull together to meet and even exceed hiring manager expectations. Let’s look at how these two partners can work togeBy joining forces, staffing buyers and providers can establish clear and realistic job requirements that result in fast, quality placements and improved client satisfaction. For instance, representatives can conference with the hiring manager to clarify the job specifications before the search begins. That will keep everyone from getting stuck or spinning their wheels needlessly. Or, staffing partners can supply buyers or HR reps with enough market intelligence, feedback and niche technical knowledge to review options for filling the position with the hiring manager and determine the top priority requirements. And since contractors are drawn to projects that offer learning opportunities or the chance to work with cutting edge software and tools, having a clear understanding of the duties and responsibilities helps staffing firms and clients attract and retain the very best talent. If a company is realistic and has clear expectations of the skill level required, most staffing firms should be able to relieve a tech manager’s stress by submitting one or two qualified contractors within a few hours after receiving a requisition. While providing a speedy response to staffing requisitions is essential, digging deep to figure out the source of turnover or productivity issues that increase hiring costs or the need for contingent staff is an effective way to take client relationships to a higher level and create a stronger bond. 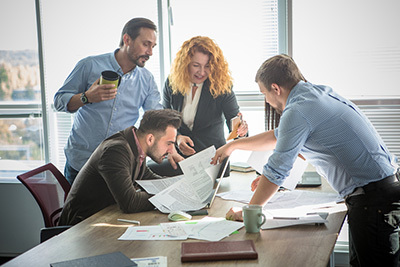 Because they have access to staffing data and feedback from contractors, staffing executives are in a perfect position to understand the underlying causes of personnel problems. Once a root cause analysis (RCA) team has uncovered the source, they can work with the tech manager to devise programs and solutions that have a direct impact on business results and outcomes. The ability to deliver new insights and resolutions to talent challenges is the difference between being a supplier and a trusted business partner. Most tech managers can’t make confident and speedy hiring decisions based upon a resume review and background check alone. They need to know how a tech pro has applied his technical knowledge and skills in past work environments to determine whether his skills might be transferable to another project. In fact, deficits in applied technology skills among new applicants were cited as a key hurdle in filling the growing skill gap according to a survey of hiring managers from The Career Advisory Board. Some 84 percent of managers claim that employees who know how to use the right tech tools in their fields are more effective. At eTeam, we anticipate a manager’s need to consider practical evidence and provide the information up front. Our recruiters submit a profile that concisely summarizes each candidate’s relevant, hands-on technical experience and achievements. The mini project summaries not only supply context, they map a contractor’s skills with a project’s strategic objectives and answer behavioral-based questions. In our experience, knowing a manager’s preferred style of obtaining information and what he typically considers when selecting contractors often leads to an offer with the first batch of submitted candidates. And finding talent quickly is not only the best way to meet client expectations, but to exceed them.